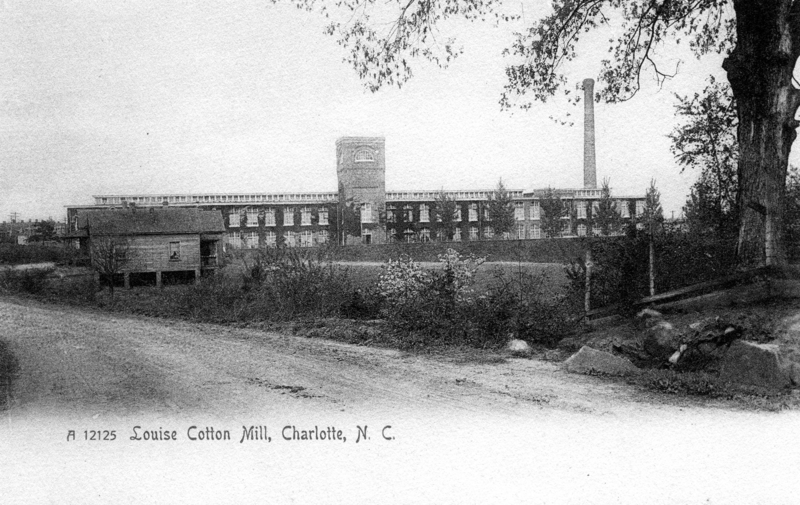 The Louise Cotton Mill still stands at 1101 Hawthorne Lane in Charlotte. At the time of its completion in 1897, it was the largest mill in Charlotte. In 1901, a large additon was completed. Herbert Smith Chadwick (1856-1899) was the owner He also built 60 mill houses nearby in rows of five with twelve houses to a row. Chadwick came to an untimely end after being honorably discharged from the Army during the Spanish-American War. One year later, he committed suicide in 1899 while in Boston for business.